← Have You Got A Mirrored Bathroom Cabinet? If Not You Should Get One! 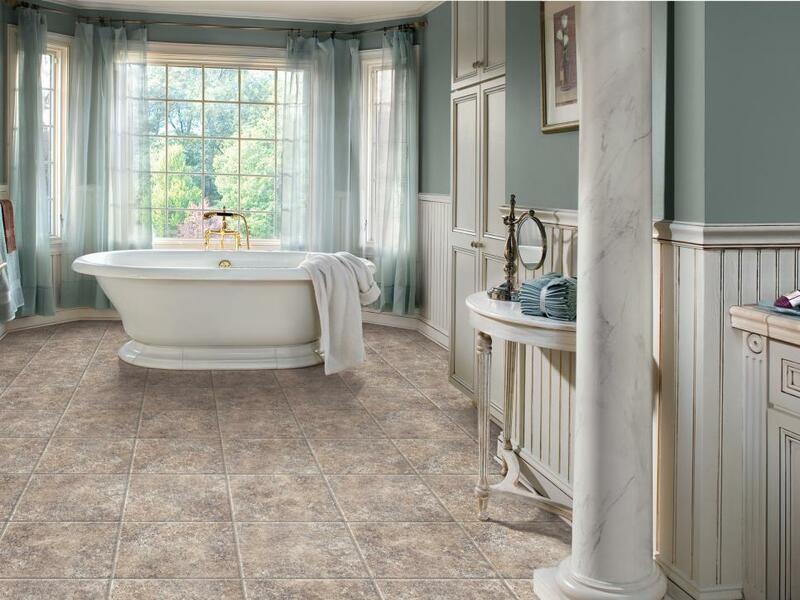 There are lots of ways to decorate a bathroom, but we always seem to skip one of the most obvious parts: the floor. The floor takes up 1/6 of our bathroom and therefore, it needs to be decorated. That is why in this article we are going to share some options for decorating your bathroom floor. It is the most practical and, at the same time, decorative thanks to its impermeability, style and cost-effectiveness. 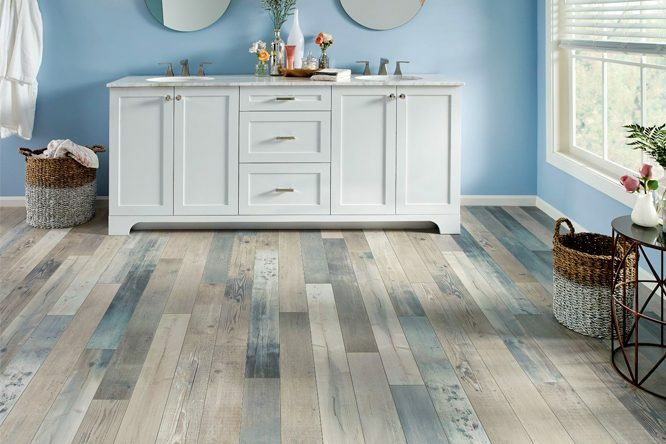 Porcelain owns the best feature of each material; the plentiful, textured and compact feeling of the stone, the waterproofness and low pricing of the vinyl, and the good-looking features of wood. One of the advantages of this material is its large variety in ranges and styles, allowing you to choose the type of floor you want. Its main flaw is its coldness and slipperiness. Vinyl has a decent look and is way more practical than any other material. If you are the type who will make a mess with water in the bathroom, this is the perfect material for you. If you have a small bathroom you might be lucky enough to get a model all in one piece since it usually comes in large sizes. You can choose your own type of vinyl, there are many of them due to its popularity. This type of floor for your bathroom is superior to conventional wood when it gets wet because of its dimensional stability. This is thanks to a plywood foundation that will resist humidity fairly well. But be careful, it does not matter what type of wood you have in your bathroom, because the humidity will end up damaging it. This material is a paper soaked in resin over a wood nick base. The superficial laminated board is no more than a picture of any type of wood or stone. There is an incredibly robust clear coat on top. You have to be careful with laminated floors if you don’t want them to soak up any moisture, but it will endure if you pay attention and take care of it. 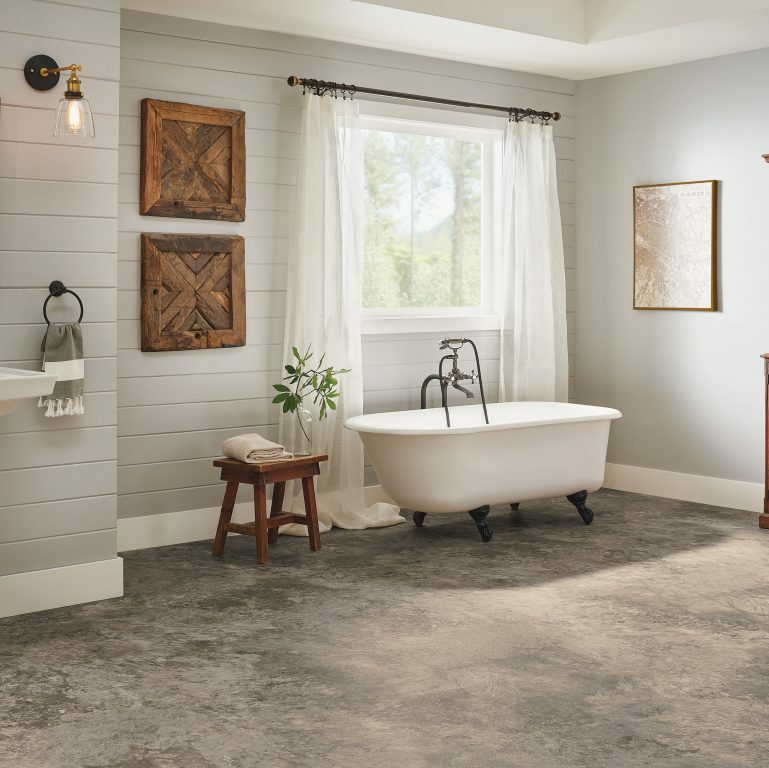 Now that you have the information to choose your bathroom floor material, we wish you a happy time going out and shopping for whatever style suits you.